About a dozen people showed up for the Yoga Alliance ‘Listening Tour’ event with CEO David Lipsius at the Asheville Yoga Center on August 20th 2018. Considering the 288 registered members residing within 50 miles of Asheville, I was expecting a higher turnout. The attendance is not surprising considering the ambivalence that yoga teachers feel about their most popular organizing body. When polled about their opinion on the organization, members of the Yoga Teacher Resource facebook group had reactions ranging from “I just don’t see the benefit” to “I feel coerced to be a member because some of the places I teach require it and that makes me angry” to “I am completely fed up with them”. Clearly there is some bias as people who are frustrated are more likely to comment, but there was not a single entirely supportive comment on the thread. According to Lipsius, YA was founded during a time when the demand for yoga specifically in the gym setting was outpaced by the number of teachers available to teach. The fitness industry was poised to act on this demand by creating weekend certifications. The possibility of weekend fitness based yoga certifications alarmed many in the yoga community enough to set aside the differences in opinions between different schools and lineages to come together for a higher standard. Most of these leaders at the time had studied in India in the 1960s and 70s, usually spending a month in India. Many of them were asked by their teacher to share what they had learned upon returning home. One month of full time study equals about 200 hours and thus the group agreed on this as a much preferable minimum standard to the 15 or 20 hours possible in one weekend. Yoga Alliance inherited a non-profit designation from a defunct organization called Unity in Yoga and their original mission was to serve the public by providing a registry of yoga teachers. It was started by a diverse group of yogis whose desire was to protect the integrity of yoga, but they did not anticipate the surge of teacher trainings and abundance of newly qualified teachers that followed. 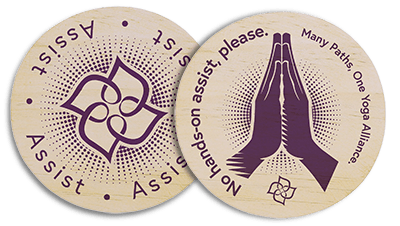 When yoga teachers pay their $65 per year to the Yoga Alliance, they imagine that they are joining an organization that intends to serve their membership. However, what we learned from Lipsius is that the Yoga Alliance was not founded with the mission to serve yoga teachers. Their mission has always been to the public: to help them find teachers who have met the 200 hour (and later 500 hour) standards. This misconception has led to a great deal of confusion and anger. The Yoga Alliance did not adequately educate their membership on WHO they serve, therefore the membership understandably assumed THEY were supposed to be served. They began to wonder, why there were no mechanisms in place to enforce the standards that Yoga Alliance defined. Why was there no accountability for teachers or schools who participated or covered up misconduct? What exactly were they getting for their membership fees? Behind the scenes, the leadership at Yoga Alliance began to understand that they had been terribly naive to believe that they could provide a registry without accountability. As yoga blossomed from a fringe activity to a multi-million dollar business, the demand for accountability grew and government organizations began to take notice. In several states, yoga teachers have had to fight against government oversight by bureaucrats with a superficial and probably erroneous understanding of yoga. As of this year, the Yoga Alliance has split into two separate non-profit organizations. The original 501C3 public charity continues with its mission to serve the public through the Yoga Alliance Registry. The new limb of yoga alliance is a 501C6 professional organization – poised to finally offer the yoga community the oversight and advocacy they already thought Yoga Alliance was supposed to provide. Lipsius explained that change and growth in an organization takes time, but as of this year Yoga Alliance finally has the explicit directive to enforce their standards and is actively researching the best means to do so. It is important to note that the only consequence they are capable of enforcing is removal of schools and teachers from their registry. As of Feb 1 2018, Yoga Alliance has hired an independent law firm to investigate claims of abuse or misconduct. This year is devoted to research and standards review. They are actively seeking feedback from their membership and will make that feedback public late this year (2018). Although this topic was ostensibly the purpose of the meeting, the conversation on it was brief. The yoga teachers in attendance seemed more interested in the other topics covered. However, the teachers in attendance seemed unanimous that the 200 hour standard is inadequate. Other than that, three main points stood out from the conversation. 200 hours does not equal 200 hours. Different people can get a very different education in 200 hours based on a) their previous experience, b) the ability of their trainers, and c) the actual curriculum. In order to get graduates on a more even footing and ensure that they have fulfilled learning objectives, there needs to be objective evaluation. While more hours *might* improve standards, what new yoga teachers really need is supervised teaching and mentoring. Lipsius claims that without a strong professional organization enforcing standards, government regulation is an inevitability. As the yoga industry has grown, we have seen several states look for a piece of the pie with regulations and fees. He acknowledges that the first few times this happened, the Yoga Alliance response was inadequate (see the fundamental misunderstanding above). However, now that they are explicitly a professional organization it is part of their mission to fight overly burdensome regulation. According to Lipsius, the most compelling argument against government regulation is an educated professional organization who can regulate with from the inside. As we discussed the possibility of government regulation and what that might mean for yoga teachers, I asked Lipsius to define the term yoga. After all, he is the head of an organization with yoga in it’s name that is proposing to set and uphold standards for training. Lipsius claimed the word is not definable as it means different things to different people. I pressed him on this topic, but he refused to play which I kind of understand given that no matter what he says, someone is going to be upset. However, if we as yoga teachers, cannot come to even a rough consensus about what the word means how can we come to a consensus on basic training standards and much less explain what we do to outside parties? A few years back (prior to Lipsius’ term) the Yoga Alliance released guidelines regarding the use of the term therapy and any derivatives. The announcement unleashed a storm of confusion, anger, and controversy as many of their members had to scramble to update their marketing and teaching materials and reconceive how to talk about what they do. Lipsius acknowledged that the way the new policy was announced was poorly executed. In his opinion, YA should have given members time to provide input and should have coordinated with yoga’s other professional organizations, especially the IAYT who uses the term in their name. However he stands behind the policy and strongly believes it is in the best interest of the yoga industry to avoid using terms that have up until now been the domain of the medical profession. Lipsius emphasized that the word therapy has a definition and that definition is important, which is ironic since he does not seem to think the same thing about the word yoga. The Yoga Alliance as an organization and yoga teachers as a group were blindsided by the power of market forces shaping our industry. When Yoga Alliance was formed, yoga was a fringe activity seeing a surge in popularity. It was not seen as a viable career option much less a multi-million dollar industry. Lipsius is speaking truth when he explained that “we cannot, as an organization, influence market forces.” Lipsius’ vision is to bypass this issue by focusing on reaching the underserved populations that are already receiving services from other non-profits. 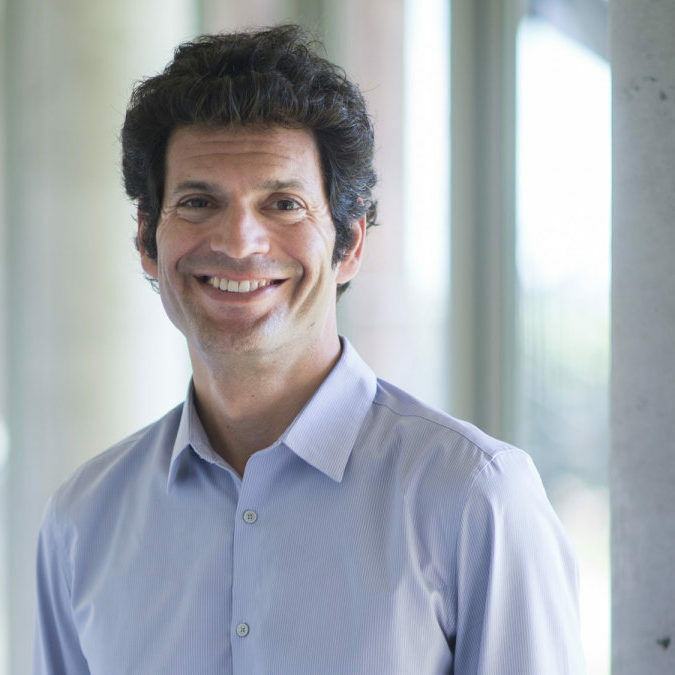 He imagines grants and partnerships with foundations to link service hearted yoga teachers with paid jobs teaching yoga to marginalized and underserved populations. Most yoga instructors agree that there needs to be some oversight and accountability for this profession and I don’t see anyone else stepping up to take on that responsibility. The possibility of a either a wild west free for all or government oversight are radically unappealing. Yoga Alliance, with their enormous roster of teachers and steady stream of membership dues is best positioned to take on the unenviable role of standards and ethics enforcement. I’m personally willing to give Yoga Alliance a chance to grow into their new mission and adapt to the changing market forces that blindsided us all. For those who question and challenge the Yoga Alliance, keep going and consider getting involved in a more direct level by joining one of their committees. I’d love to hear from all the passionate yoga teachers out there who read this. What questions do you still have for Lipsius? 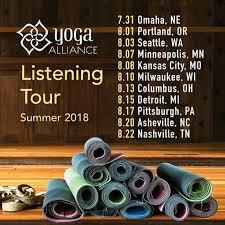 If you attended one of the Yoga Alliance listening tour events, what was the conversation like in your city?